If caffeine can't keep you wide-eyed, then this experience definitely will. Join us on this journey as we take you to 3 of Ho Chi Minh's most interesting cafes, outside of Starbucks. Sip on Vietnam's finest brews, while your caffeine addict host fills you in on how Vietnam came to be the world's 2nd largest producer of coffee, the various coffee producing regions, and the unique methods of growing and brewing coffee beans that will help bring out its best aroma. 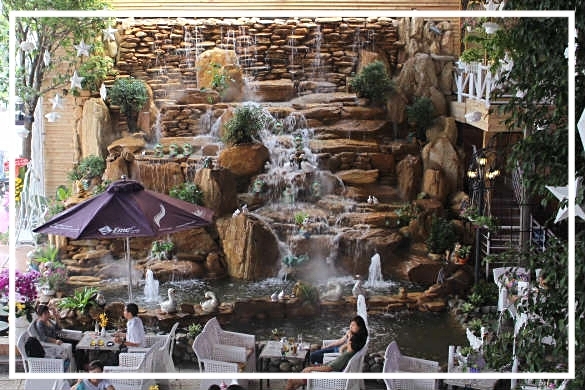 And if you aren't a coffee drinker, sipping a Coke by the waterfall is still an experience you certainly wouldn't want to miss out on. Visit some of the most unique local cafes in Ho Chi Minh outside the tourist routes. Learn how Vietnam came to be the 2nd largest coffee exporter in the world. Be introduced to the different types of coffee beans from across Vietnam, and how they are brewed to bring out the best flavours.